"Will You Still Love Me Tomorrow", (written by Carole King), was featured in the colossal hit movie "Dirty Dancing" with Shirley on lead vocal.. "Mama Said" also led by Ms. Reeves was used in a major promotional campaign for Pepto Bismol. She also has a Wendy's commercial in her long list of achievements, as well as one of the first Rock n Roll Coca-Cola commercials. 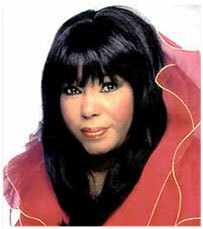 Ms. Reeves also co-starred in the Rock 'n' Roll film with the Shirelles "Let The Good Times Roll." All time Shirelle favorites include "Tonight's The Night" (penned by Ms. Reeves), "Baby It's You", the soulful sounding "This Is Dedicated To The One I Love", "Foolish Little Girl", and, of course, the group's 5 million selling hit "Soldier Boy". This particular song touched so many lives and hearts.